. :Access Granted:. 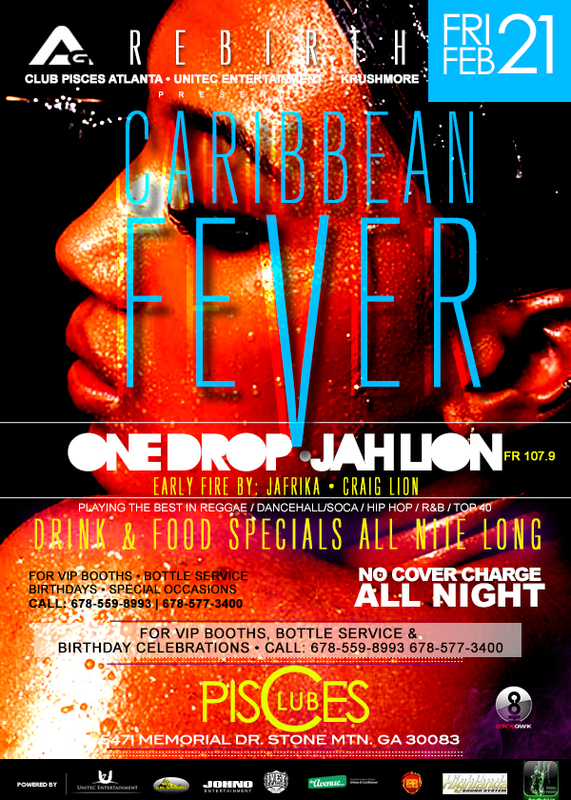 Caribbean Fever Edition with Music by: One Drop & Jah Lion This Friday, February 21st @ Club Pisces. EVERYONE FREE ALL NIGHT.